"How To Take Your Jazz Chops To The Next Level "
There is no better way to learn the "jazz language" than by seeing and hearing the music created by famous jazz artists. The EASIEST WAY to do that is by running through jazz charts and listening to the recordings. The Real Book has been an essential part of every aspiring jazz player's arsenal since the spiral bound soft cover book came out in the 70's - It's right up there in importance with your instrument and your albums. Sure, there have been other jazz fake books - but none match the importance of the original Real Book (Volume 1 Fifth edition). if you don't own The Real Book, then you really aren't serious about jazz improvisation." What? You already have the paperback Real Book? - Then it's time for you to enter the 21st century! Forget about paper - it's time to get digital. (After all, it's pretty likely that your old paper copy is pretty beat up by now if you have used it at all)! "The 'Real Book Software' is a full blown, self contained jazz studies course. " In jazz improvisation, you are required to know how to play through hundreds of jazz standards, jazz blues, latin jazz charts etc. My Real Book Software will not only provide you with thousands of essential jazz chord charts and melodies but will also familiarize you with how these charts should sound. This is critical in helping you understand the language of jazz and building a superb jazz vocabuary. Hearing the tunes is essential. "The Real Book is ReBorn As Software - But That's Only Part Of The Story..."
No matter what your instrument is, your chart is here. This is not some useless CD of PDFs where you still have to manually thumb through them. With PDFs you've got a bunch of charts, but you have to find the disk, load it, launch Acrobat, and go through lots of images hoping to find the exact chart you needed. In some ways, with PDFs you are even worse off than if you only owned the paper Real Book! ..this is real, honest to God software designed to make the Real Book come to life.. Locate any chart in an instant - no thumbing through the book. No More Hunting for the proper charts! (Alphabetize by Artist or Songs A-Z, Z-A or just perform a quick search for the song you are looking for). Add hundreds of tunes to your repertoire! Hear Full Length Original Recordings By Famous Jazz Artists! You'll find the benefits of this program are a huge help in your journey to becoming an outstanding jazz player. Print out charts for every member of the group. See the same song in different keys and transpositions. Take the laptop to the gig and have instant access to your charts. The software is expandable to include other Volumes and Fake books as those 'modules' become available. "You Are Also Getting The Recordings!" You heard me right! These charts are bundled with the matching recordings. This is a huge bonus that will make the Real Book spring to life in ways that you never dreamed possible. This bonus material is being made available to you for educational purposes only. Click Here To See A Video Of The Realbook Software In Action! Q. "What are the System Requirements?" A. The software runs on Windows XP machines. Sorry Mac Guys - there is no 'Native' Mac version of the program - I guess there are virtual PC shells - but you would know better than me if that would be an option for you ! Q. "I'm Not In the U.S. - Can I still Order It?" A. Yes - We Ship worldwide. Right now overseas mail is running about 10-14 days for delivery and is covered in the same price you would pay if you were in the U.S.
Q. "What About VAT Tax etc?" A. The customs form will show a zero value so it should clear customs without you having to pay additional fees. Q. "Okay - I am ready to get the Real Book Software right now, and start improving my playing.....what do I do?" "Statements From Other Real Book Software Owners Just Like You"
"I wanted this program badly because I've always loved my Real Book, and this is the coolest application of it imaginable. I also like the additional scores of many of the songs in additional keys as well as transcribed for transposing instruments. This is definitely superior to just the hardcopy Real Book Fifth Edition." "It's a tremendous help, having it set up the way you have." "I would buy this item just for the reason that the old “Real Book” is not available and quite treasured by many Jazz musicians, but hardly found." "All I can say man, is..wow.. The music resource is out of this world. I got to start learning these tunes." I knew I had to take the chance knowing how this program could help me. Your a very honest and sincere guy! "Are You Getting The Picture?" What do YOU think ALL of that is worth? How about the bargain basement, starving artist rate of $99.00 - That sounds better doesn't it? "Here's the deal - I'm not convinced I should do this, but here it goes anyway. I'm going to cut the price in half for you." So you have no reason pass up this low-ball offer. Even the most skeptical Doubting Thomas has no reason to jump at this. I want to get this into your hands as quickly as possible so you can start seeing immediate results in your playing. Even though I know you agree that it is worth much more - I'm going to let you have it for only $49.95 (plus $4.95 to ship it to wherever you are in the world). I'm actually giving strong thought to raising the price back to the original $97 dollar price tag, so I would urge you to take advantage of this absolutely absurd offer. You snooze, you lose. Don't email me after the fact asking for this deal after it has been withdrawn. "Remember, You Are Also Getting the Recordings FREE, as a study aid!" Why are you getting the recordings? Because I want the Real Book Software to be the Best Jazz Education Tool you'll ever purchase. You need to know something (and I probably shouldn't be telling you this). "Free Band In A Box Files - Real Book, Jazz Standards and More " Value: $297 - Yours FREE! For you to do with as you please - warp them, steal progressions from them, change styles, rip drum grooves - it's really only limited by your creativity. .
"Tons Of Jazz MIDI files - Real Book, Jazz Standards and More " Value: $297 - Yours FREE! In case the Band In A Box Files Weren't Enough ! Load these into your sequencer or MIDI player of your choice and start playing along. You can even play these on your default Audio player on your computer. 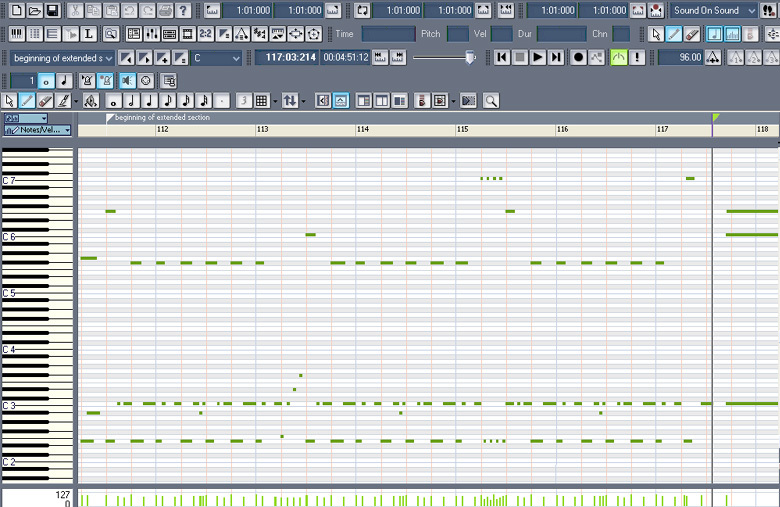 MIDI Files are flexible and universal. Trade them with other players, with ease! "I've just been opening up the songs in Band in a Box. These alone are worth the price I paid for the whole program." I want to get my own copy of "The Real Book Software" so send me The Full DVD's worth of material! (I'd be insane not to jump at this offer). Yes! I understand that I get all 2000+ charts, the recordings, and Both Free Gifts! Yes! I understand that this is a very limited offer and the price could go up at any time!! Yes! I want to get it now while the price is only $49.95 plus 4.95 Shipping! I understand that All orders are processed the same day they are placed and mailed First Class in the U.S. or Airmail outside the U.S. I'd also like to be notified when future Volumes or other Fakebook modules are released so that I can import them into "The Real Book Software". Have A Look At All Of These Jazz Charts, Sheet Music, and Chords for Jazz Piano, Jazz guitar, Alto Saxophone, Tenor Saxophone, Trumpet, Soprano Sax, Flute, Vibes, Clarinet, etc. Keep in mind - it's all of these charts, TIMES 4, since all of the transpositions are included. Jazz Charts, Jazz Sheet Music, Jazz Lead Sheets in a variety of styles - Jazz Standards, Jazz Blues, Latin Jazz, Modern Jazz, Bebop, Free Jazz, ECM, etc. Alice In Wonderland, Fain, Sammy / Hilliard, B. All Of Me, Simons, S. / Marks, G.
April In Paris, Duke, Vernon / Harburg, E.Y. Gentle Rain, Bonfa, Luiz / Dubey, M.
How My Heart Sings, Zindars, Earl O. Lover Man, Davis, J. / Ramirez, R. / Sherman, S.
Jazz Charts, Sheet Music, and Chords for Jazz Piano, Jazz guitar, Alto Saxophone, Tenor Saxophone, Trumpet, Soprano Sax, Flute, Vibes, Clarinet, etc. This is the original uncopyrighted Real Book Volume 1, 5th edition Bb Real Book , Eb Real Book , C Real Book , Real Book Bass Clef (not the Sher or Hal Leonard versions). © 2007 GuitArrangements. Real Book Software - All rights reserved. Common search terms that you might consider using when researching the Real Book. Of course searching for the common jazz instruments of piano, guitar, upright bass, vibes, drums, brass instruments like trumpet, trombone and yes even tuba! Then there's the reeds alto and tenor sax, soprano sax, flute, clarinet bass clarinet and even weird instruments such as the manzello and stritch or odd transpoitions like the C Melody sax C Clarinet etc. Alto flutes, and I didn't even mention the Baritone Sax - Check out these and see which ones you used to help you to find this site! alto and tenor saxophone alto sax book alto saxophone book alto saxophone music alto saxophone notes alto saxophone sheet music alto saxophone solos alto tenor sax autumn leaves lead sheet autumn leaves real book b flat real book band in a box band in a box real book bass clef real book bass improvisation bass real book bb book bb real book bebop piano berklee real book biab real book biab realbook big band piano bill evans saxophone book of piano chords Buy Fake book Buy Jazz fake books Buy Jazz lead sheets Buy Jazz music book Buy Jazz music books Buy Jazz sheet music Buy The Real Book c real book charlie parker saxophone chart standards chord book chord changes chord piano chord sheet chords book chords for piano chords on piano chords on the piano chords sheet chords standards coltrane for guitar coltrane guitar coltrane saxophone davis round about midnight download real book eb alto sax eb alto saxophone eb real book fake book fake book guitar fake real book fakebook famous alto saxophone players Find A Real Book Find The Real Book Get A Real Book Get The Real Book great standards guitar real book hal leonard fake book hal leonard real book how to play alto sax how to play alto saxophone how to play jazz how to play jazz bass how to play jazz piano how to play jazz sax how to play jazz saxaphone how to play jazz saxophone how to play jazz trombone how to play jazz trumpet how to play the alto saxophone improvising jazz improvising piano improvising saxophone jazz alto saxophone Jazz chord chart Jazz chord charts jazz guitar book jazz guitar lead sheet jazz guitar lead sheets jazz guitar standards jazz improv jazz improviation jazz lead sheet jazz piano jazz piano chords jazz piano standards jazz real book jazz sax jazz sax standards Jazz saxaphone jazz saxohone Jazz saxophone Jazz Standards jazz standards Bb jazz standards Eb jazz standards for alto sax jazz standards for bass jazz standards for guitar jazz standards for piano jazz standards for sax jazz standards for tenor sax jazz standards for trombone jazz standards for trumpet jazz standards guitar jazz standards piano Jazz Standards real book jazz standards sax jazz standards trumpet just standards real book latin real book latin realbook latin standards lead sheet lead sheet chords lead sheet music lead sheet software lead sheets learn jazz guitar learn jazz piano midi real book miles davis guitar miles davis round midnight music book music fake book music for alto sax music for alto saxophone music for soprano sax music for soprano saxophone music real book music sheet for alto sax music sheets music standards new real book new realbook piano accompaniment piano arrangement piano bass piano book piano chord book piano chord chart piano chord charts piano chord progression piano chord progressions piano chord sheet piano chords piano chords chart piano chords for songs piano chords songs piano improv piano improvisation piano jazz chords piano lead sheet piano lead sheet music piano lead sheets piano music piano music tab piano music tabs piano real book piano sheet music piano sheets piano solos piano songbook piano tablature play jazz guitar Purchase The Real Book Real Book real book 5th edition real book 6th real book 6th edition real book alto sax real book bass real book bass clef real book bb real book blues real book c real book charts real book chord real book chord changes real book chords real book eb real book fake book real book fifth edition real book guitar Real Book in Bb Real Book in c Real book jazz real book lead sheets real book music real book online real book piano real book play along real book sheet real book sheet music real book sher real book sixth edition real book songs real book soprano sax real book standards real book tenor sax real book trombone real book trumpet real book tunes real book vol 1 real book vol 2 real book volume real book volume 1 real book volume 2 real book volume 3 real books real charts real fakebook real latin real piano real score real songs real tunes realbook realbook 5th realbook band in a box realbook fakebook realbook online Round Midnight chart Round Midnight chords round midnight miles Round Midnight piano Round Midnight sax Round Midnight saxophone Round Midnight sheet music Round Midnight sheetmusic round midnight transcription Round Midnight trumpet sax improvisation sax piano saxophone improvisation saxophone music saxophone notes saxophone sheet saxophone sheet music score book sheet music sheet music for soprano sax sheet music standards sheetmusic sher real book song book chords song lead sheets song piano chords songs book songs for alto sax songs for alto saxophone songs lead sheets soprano sax sheet music soprano saxophone music soprano saxophone sheet soprano saxophone sheet music soprano sheet music standard book standards book standards real book swing standards tenor saxophone the new realbook the real book the real book 5th edition the real book bass clef the real book download the realbook the standards real book transcription standards trumpet book trumpet music trumpet sheet - You might also consider using the name of the artists or even the song titles as well. Most jazz standards originate from tin pan alley show tunes, or the blues. The Real Book also incorporated many modern jazz composers and artists that were on the ECM jazz record label. The Real Book originally came out in Volume One 5th edition followed by volume 2 and volume three. Each one was released in each transposition. Concert C, Bb (B flat), Eb (E flat) and Bass Clef so that all instrumentalists could play through the charts without having to transpose on the spot. Wikipedia has a good article on the Real book. - There were other jazz fakebooks of that era also - Spaces Fakebooks had four volumes (many of the songs charts were just reproductions from the Real Book) But the Fourth Volume was all transcribed solos. Look for that one to be released as a future module for the Real Book Software. There was also the Monster Fakebook that didn't recycle the same Berklee charts like the Spaces fakebooks did. Anyway, look for all kinds of cool new content to be available for this amazing software! This will be a huge resource for jazz piano sheet music and charts as well as score for alto and tenor saxophone. If you want to improvise jazz guitar, piano, bass or horn, then this is a must have!